Hello everyone! 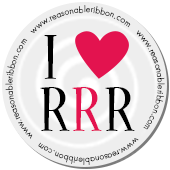 Bonnie here from Really Reasonable Ribbon. I'm still having lots of fun with my Bow-it-All Tool from Zutter and today I'm going to share some fun embellished bows that I made with unique ribbons and trims that might not be your 'go to' styles when creating a bow. BUT, they are really fun to work with!! My card is made with a great digital image from a collage sheet from Ephemera's Vintage Garden. Here's a close-up of my pretty bow. I have so many ideas for new bows that I can't wait to sit and experiment some more! This pretty tag below is also made with a digital tag image from Ephemera's Vintage Garden. I printed 2 copies of the tag and used one for the tag and the second one I used to make my 3-Butterfly with the Spellbinders Grand Shapeabilities Donna Salazar Wonderful Wings set. Below is a hairbow I made from a layered bow made with Light Blue Netting. This bow would be nice for an older girl (or adult) for a more formal occasion. It's attached to a French Clip. I will be sharing details of the other projects shown in my video tutorial in the upcoming days on my Make Time 2 Craft Blog. Head on over and follow me there so you don't miss any of the fun! OMG I Sooooooo want one of these bow makers now. Gorgeous card and a lovely tutorial. Thanks. I think your bow on the card is beautiful!!! I have to check out the tutorial!!! Thanks for playing in the TPE Challenge. So pretty! I especially love the jute bow. Thanks for the inspiration. Introducing our NEW RRR Design Team! !